Last year I asked my friends on Facebook what the word “home” meant to them. The feedback was touching and their definitions filled with love. It became quite clear that there is a difference between a house and a home. 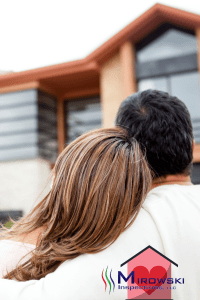 So when we inspect a house, we need to be aware of the connection the structure has with the seller and the emotion and love already building within the buyers. A house is a structure that provides for your basic needs and safety. Building a house takes technical knowledge, money, and resources and for the most part, they are permanent. Some houses are well built, some are not. Some are occupied, others vacant. A house is simply a building constructed to become a residence or place to put our belongings and protect us from what Mother Nature sends our way. But a home is different. carries the feeling comfort, security, happiness, and the love. A house is made of materials and is where a person can live. A home is what you make it. Honestly, even if you don’t own a house, you can create a home. A home, can be the place or country you grew up, a house, an apartment, tent, a boat, or cave. It is simply a place where you feel you belong.